To begin to know how to care for your Jade Bangle Bracelet, you must first know if there were any artificial treatments that have been applied to it. Extra care and caution must be taken when wearing and cleaning treated Jade Bangles. 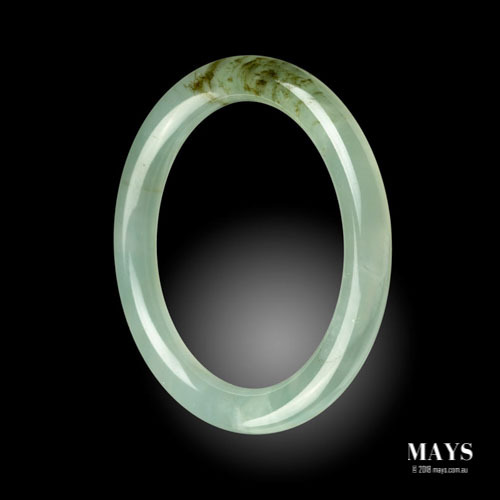 Cleaning or wearing a treated Jade Bangle as a natural may cause irreparable damage. Natural Jade Bangles are easy to take care of. They do not require much attention if any at all. Wear them to the beach, swim in chlorinated water, soak in hot baths, exposed to sunlight...etc. No problems. Just be aware that it can still be scratched by other materials with hardness of 7 or higher. Treated jade bangles are a different story; they require extra care to not damage its appearance. Refer to the table below. Table 1. A table showing a list of activities possible while wearing a natural and treated jade bangles. Jadeite is a durable mineral and measures 6.5 - 7 on Moh’s Hardness scale. Hardness measures the mineral’s resistance to scratch. Keeping this in mind, there are other minerals out there that are harder than Jadeite and some care should be taken to avoid scratches. Having said that, its interlocking crystal structure makes it tough to break or chip. Minor bumps and impacts would not have an effect on a natural jade bangle. However, chemically bleached treated jade bangles are not durable. Their internal structural integrity has been compromised, making them brittle. Jadeite being a porous material is subject to staining. It’s advisable to wipe off any spills (especially red wine) onto the bangle right away. Failure to do so will cause absorption of colours which will later require specialised cleaning. If the bangle has been treated, a stain cannot be removed as cleaning the stain will subsequently remove the original dyes as well. Use hot water, go as hot as you are comfortable to your bare hands. Generally around 40°C (104°F). Add a generous amount of liquid soap. Dish washing liquid works best. Again, use soaps that you would handle with your bare hands. Nothing too corrosive. Mix the solution well. Place your bangle gently into the plastic container and let it sit for 2 minutes. The soaking process will loosen up all the oil, sweat, dirt and grime stuck onto the bangle. If you have an ultrasonic jewellery cleaner, you can skip this step. Now that the soaking process has loosen up all the dirt, use a sponge to clean the bangle thoroughly. Rinse with running water until all the soap is clean off. Take care not to drop the bangle onto any hard surfaces. Dry the bangle with a clean cloth or paper towel. 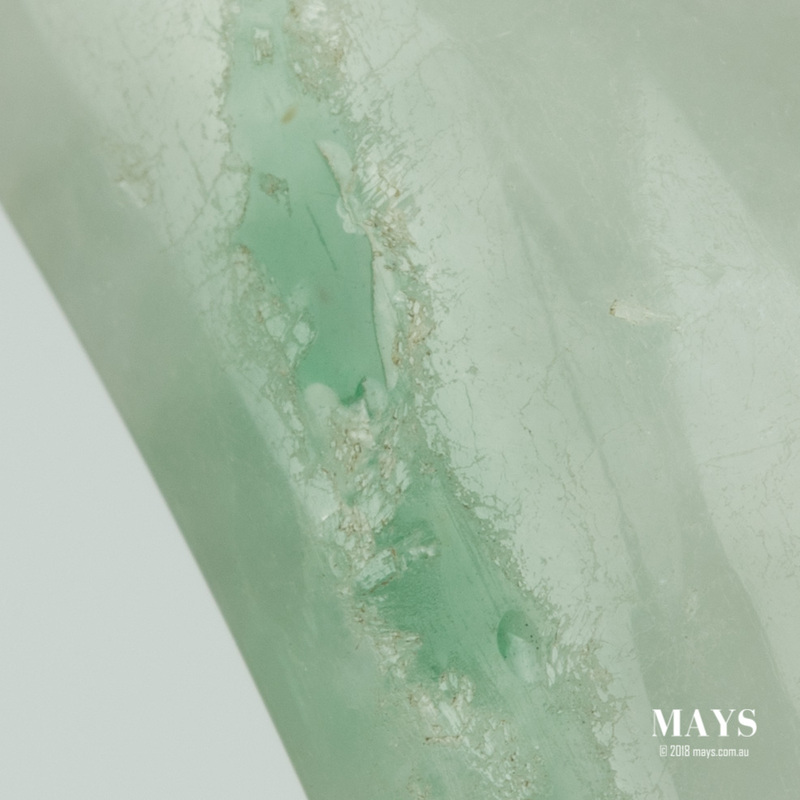 Using a piece of unscented white candle, rub onto the surfaces of the jade bangle. Apply gentle pressure to allow the wax to stick onto the bangle. Once the bangle has been thoroughly waxed, use a piece of paper towel to remove all the excess by rubbing it into the surface. Waxing will increase the lustre of the bangle slightly and protect it from body oil, dirt, and sweat entering the porous surface. Take extra when handling Jade Bangle around a jeweller’s torch. Heat, direct or indirect from the torch may cause fractures or enlarge existing fractures to the point of splitting. In treated bangles, the heat may cause the impregnated polymers to melt or discolour. Dyed bangles may also discolour. Jadeite is sensitive to warm acids. Avoid placing jade bangles into a jeweller's pickle for prolonged periods of time. Treated bangles should not be placed in a pickle for any amount of time. Treated jade is also sensitive to alcohol. Natural jade bangles can be cleaned using ultrasonic cleaners safely. Cleaning a treated bangle with ultrasonic may cause irreparable damage. Natural jade bangles can be cleaned using steam cleaners safely. Cleaning a treated bangle with steam may cause irreparable damage. Use lukewarm water mixed well together with soap. Only use soap or chemical cleaners that you would handle with your bare hands. Give the bangle a dip in the soapy water and clean it thoroughly with the sponge. Rinse until all the soap is clean off. Taking care not to drop the bangle onto any hard surfaces. Waxing is not require. The impregnated polymers will keep oils and dirt away. How often should I clean my Jade Bangle? Every 6 months. Cleaning twice a year should be sufficient to maintain the optimal lustre for a jade bangle. 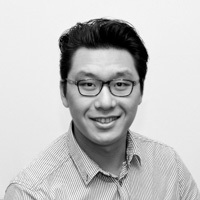 Of course, it will depend on lifestyle and environment conditions your jade bangle is put through. If you live in a tropical area where it’s hot and humid all the time, the bangle will require frequent cleaning. Or if you swim with your bangle everyday, it may not require cleaning at all. Can I shower with my Jade Bangle? Yes, you can shower wearing your jade bangle treated or not. It also allows a chance for the bangle to be routinely cleaned. Can I swim with my Jade Bangle? Depends. If you have a natural jade bangle, swimming with it in chlorinated or salt water pool will not cause any problems. Treated jade bangles should not be taken into chlorinated pool. The chlorine may gradually react with the polymers inside and cause permanent damage to its appearance.